All weather forecasts were calling on 10-15 knot winds from the west-southwest. The only area of the forecast that wasn’t to my liking was that the seas were predicted to be in the 3-5 foot range. Not sure what this would look like — as all other offshore seas I was in — were 2-4 feet. However, the winds were light as we pulled up anchor from Wrightsville – so it seemed like a good day to depart and attempt to make another leg north. The weather forecast further stated, that later in the afternoon — the winds would increase to 20+ knots. We know that the next 4 days would be gale force winds from the north — so it was either today — or lay in wait. 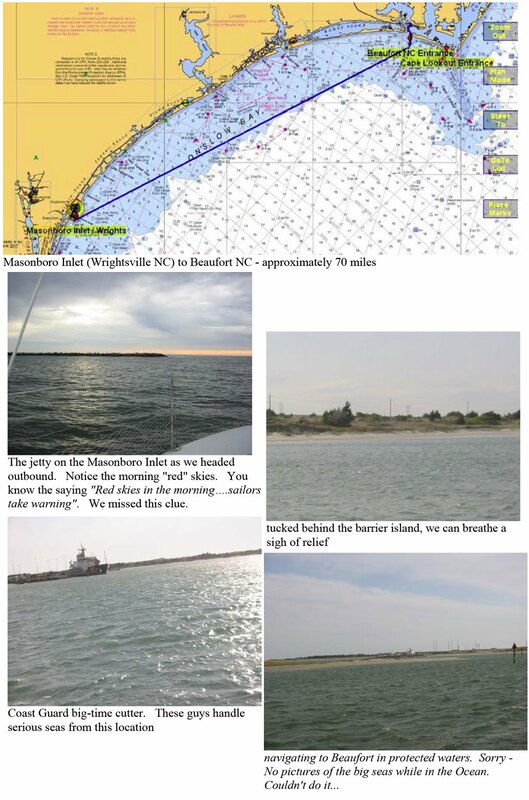 The Masonboro Inlet proved to be much easier to navigate OUTbound, in the daylight, and with relatively calm seas. Our course to Beaufort NC was a straight-shot of nearly 70 miles, which positioned us less than 10 miles offshore. With just a main (with 1 reef point), we motor-sailed for the first few hours – as the winds were very light. The seas were a bit bigger than I had previously experienced – probably residual turbulence from the prior day 30 knot gale. But if this was representative of 3-5 foot seas — than I decided I could deal with it. Eventually we unfurled the drifter sail (used mainly in light winds) to try to improve our speed. 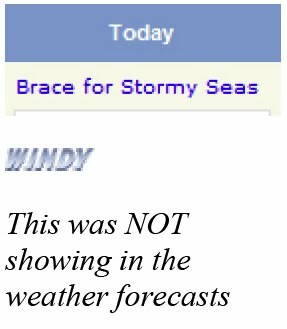 Around 10AM, Pat rechecked the NOAA offshore weather forecast. I could sense concern. Apparently the forecast had changed. They were now calling for winds to increase to 25 knots this afternoon. “It might get a little feisty out here later today” Pat relayed to me. I thought about this for a bit, and got a tad nervous – but eventually decided that it would probably be fine. Maybe if we improve our speed now — we can beat the projected arrival – and projected increased winds? So, for the next 3 hours – my mission was to figure out how we could improve our time. We increased the speeds of the diesel engines – and pulled out the jib sail (as opposed to the drifter sail) — just to be safe in case the winds came up quickly. The jib sail is much easier to work with. I wanted to remove the reef in the main to better our travel speeds — but decided that we had better leave it alone. Better to sail safe….than get caught in compromising conditions where we were not able to control the boat. Unfortunately, the best speeds we could average with this mix — was barely 7 knots. Around 12:30PM the winds had begun to shift. The winds and waves were coming at us from our stern beam, and you could feel the air change. Every hour I recorded our fix locations, and checked remaining distances. I wished we could be moving faster. I really wanted to beat the changing weather – but it just wasn’t happening. I checked the apparent wind speeds every 15 minutes, and they were increasing by ones and twos every time I looked. Pat decided to check the NOAA weather forecast one more time. I knew conditions were about to change – and I just didn’t want to know how bad it was going to be. I made sure that I was out of hearing range of the weather information. I didn’t need to know what they were forecasting — and I didn’t ask Pat to relay the information to me. At some point, Pat stopped checking on the NOAA information too. The seas were starting to grow. The winds were increasing. I was looking around the boat to see if there were any loose lines or potential problem areas that needed to be corrected NOW — as opposed to becoming a big problem when conditions worsened. We repositioned a few reef lines that were flapping outside of the sailpac, and pulled in the drifter lines and made them fast. The apparent winds were registering steady 18s with gusts to 24. I didn’t want to ask Pat what the true winds were registering. Pat casually informed me that when we get to Beaufort NC — we would have to visit the Maritime Museum as they had a map of all of the shipwrecks from the southern tip of the outer banks (Beaufort) and north. I completely tuned out this comment. Now, the seas were erupting and there was only one option for me to get thru this. I had to shut out all elements that could cause panic — and focus only on my tasks. I checked the navigation software. We had 19 miles to go to get to Beaufort. The big picture meant that we would be in this feisty brew for at least 2-3 hours. Like the tune 99 bottles of beer on the wall, I was only interested in checking off 1 mile at a time. The seas are raucous — with large tailing swells that push us high to their crest, and then Cat Maudy surfs to the trough….only to be hoisted up again on the crest. The breaker for the autopilot blew a fuse. This meant that the boat had to be steered by hand. I furled in the jib sail to 1/3 of its full size to gain better control of the boat. Pat was focused entirely on steering – and I was responsible for everything else — so that he could steer the boat. Physically, steering the boat is no easy task. He is really doing battle with the seas. It became quickly apparent, that the main sail was too big for the seas and wind — and we needed to reef it in further. Oh god. I have to go forward on the boat….and muscle down the main – while Pat holds Cat Maudy upwind (directly facing the seas head on). I grabbed a winch handle and tethered to the jackline that surrounds the foredeck. The last thing that Pat said to me before I went forward was “You are going to hear a lot of wind when I head up”. I nodded OK. I knew I had to brace myself. Carefully, I worked my way forward to the mast before Pat began changing direction of the boat. I was glad to be tethered to the boat, but was also staying low and hanging on to anything I could grab. 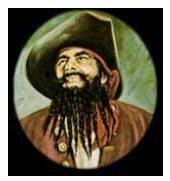 Once I was in position at the mast – I prepped the lines so that I could lower the mast, and Pat began changing the boat direction to head up – facing into the winds. Immediately, I was hit with a blast of wind – head on. It sounded like fighter jets 100 yards from your ears. Nope – I couldn’t think about it. As a matter of fact – I couldn’t even look at the swells and waves while on the foredeck. I knew they were crashing over the bow…but I had to put this out of my mind too. With one hand holding onto the rigging, I lowered the main to the 2nd reef point. Pat yells out to reef it down all the way….so I brought the main sail down to the 3rd reef, and then tightened the reef lines. All the while, there is a LOT of wind and swell and wave action going on all around me — but my mind miraculously shut out all of this data. My next task was to get back to the safety of the cockpit. Pat turned the boat to head back downwind – to our combination of broad-reach / run — and I crouched my way back to the cockpit. Time to check the navigation software again. We had 13 miles to go. OK…I kept telling myself, we can do this…13 more miles ’til land. My mind took me straight into survival mode (some might call this la-la land). I decided to think about how much I would enjoy visiting Beaufort. I was visualizing being in protected waters. Visualizing. Yes, that’s it. Kind of like running a marathon and visualizing yourself crossing the finish line — so that you could take your mind off the pain of actually running the race. Maybe we could even get a slip at the marina in Beaufort — and I would get to enjoy all sorts of sporty activities….maybe I would even get to in line skate there! Back to the moment. The swells and waves continued to increase in size and intensity. I no longer looked at the apparent wind gauge. I just didn’t want to know. The swells were far bigger than our boat – and I remember trying to focus on the horizon – only to be able to see land when we were at the wave crests, and not be able to see anything but water when we were at the trough. Pat was doing an amazing job at the helm, riding the crests of the waves as long as possible and attempting to remain somewhat on our course for the shipping channel into Beaufort. I checked the navigation software again. We were now a mile off course. Nothing we could do — Cat Maudy was just getting pushed around too much. We had less than 5 miles to go to the Beaufort Inlet. I returned to the cockpit, and refused to look behind me. Looking off the stern of the boat would reveal the huge swells towering above us. Nope, I just didn’t need this information. With 4 miles to go, we could start planning for our final position change into the shipping channel. We would have to jibe the boat in these huge winds. Pretty risky – but we did have a boom-break installed. A boom-break is used to slow the boom as it crosses the point of ‘no return’. We didn’t know if it would work in such heavy winds — but we had no choice. Two miles out, I centered the main as much as possible — all the while knowing full well that the waves were breaking over behind the boat. I couldn’t help but to see some of this. Refocused my attention on the main sheet. Pat changed course and the boat jibed. The boom-break successfully slowed the boom without trashing our rigging. Whew. The engines are on now – to give us extra power for maneuvering thru the shipping channel into the Beaufort Inlet. I spent much of this time inside of the salon, calling out headings to Pat, and letting him know of position changes to stay on course. It would be a tight channel to navigate into – especially with the wave and wind intensity. The waters became shallow for the final approach into the Beaufort Inlet. As if the swells weren’t already BIG enough offshore — they got even BIGGER close to land. Shallow water is easily churned by winds. I focused exclusively on the navigation software and calling out positions. We hailed the Beaufort Docks on the VHF, and got a side-on slip for the night. I stepped off the boat…and just stood on land…taking it all in….with a renewed sense of appreciation for the moment.